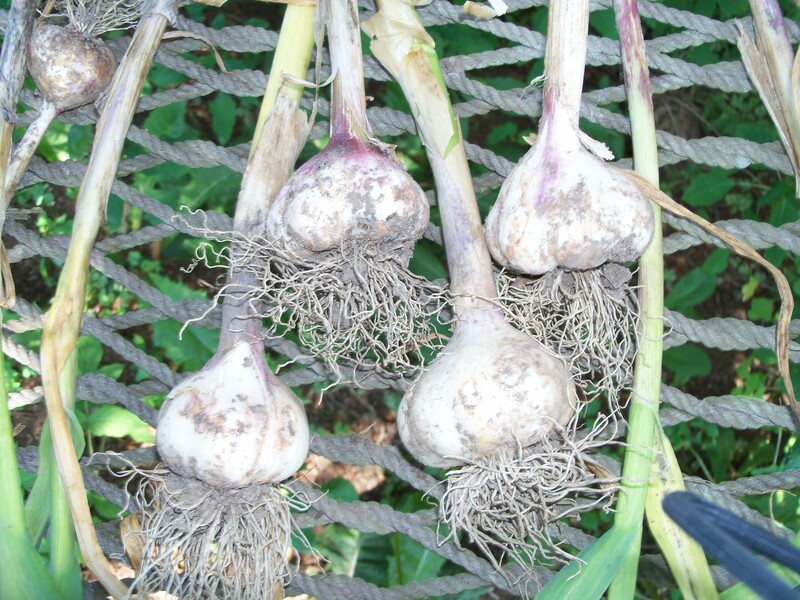 Buy organic bulbs of garlic. 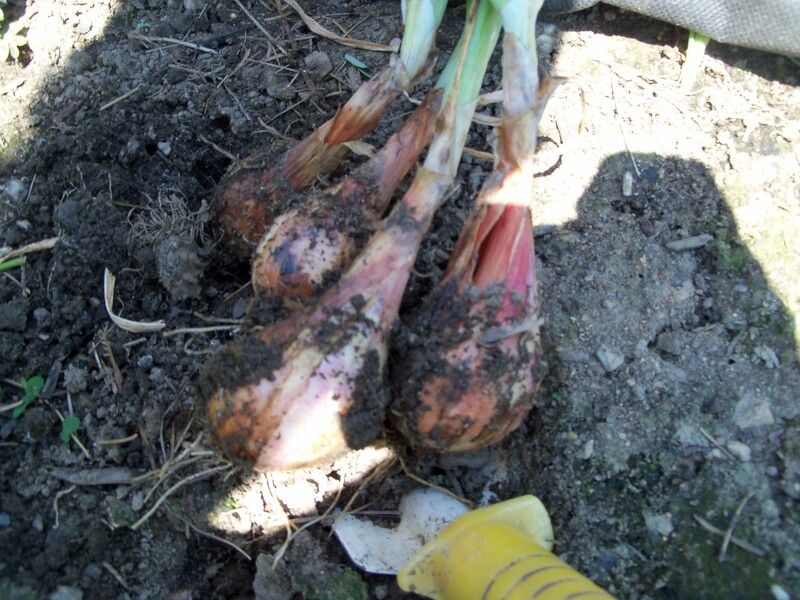 Break them up into cloves and plant each of those cloves. Easy, right? Not so fast. This is the DaisyPatch Farm we’re talking about. Actually, let’s be more specific…this is me we’re talking about. Nothing’s easy. The beds were full of weeds and a few of the wood boards that made up one of the raised beds were rotted and needed replacing. Sigh. Previously, this would have been no sweat, but as I planted, I looked like Tucker on, “There’s Something About Mary” when he dropped his keys in Mary’s office (you would think there would have been a better link on YouTube – that was admittedly pretty hack!) thanks to the STUPID KNEE that Woodrow-the-beloved-bulldog-who-needs-a-helmet injured whilst we were playing bullfighter in the backyard this past winter. The mosquitos feasted until after 7pm which is when I finally finished up. Here’s the thing. 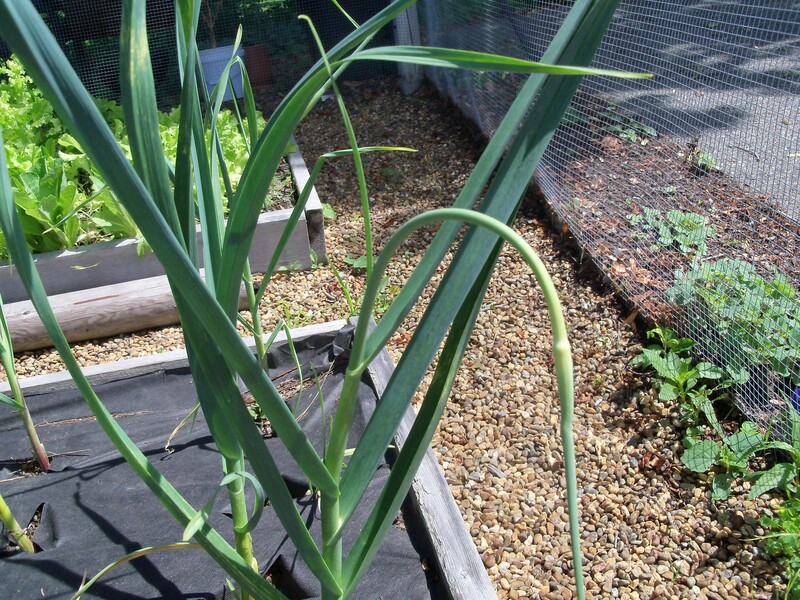 A few years ago, I planted 65 garlic. They lasted 3 years. Just saying. So, who’s up for some scampi in, say, April? Ready? Here we go…”Br(roll that ‘r’)oo-SKETT-tuh.” Now, kiss all your fingertips (and thumbtip, is that considered a finger in an example such as this? I think it is, but, whatever, all five of them) at the same time, then pull your hand away and flare your fingers out into a jazz hand. This is a terrible, stereotypical gesture I have learned from movies and television and I use it here without shame. So, here is the DaisyPatch version of the Dolce Vita bruschetta. *Note- I don’t measure. I completely eyeballed it, but I think that looks about right. Mix the garlic, tomatoes, shallot, basil, thyme in a bowl. Add olive oil. Let sit. 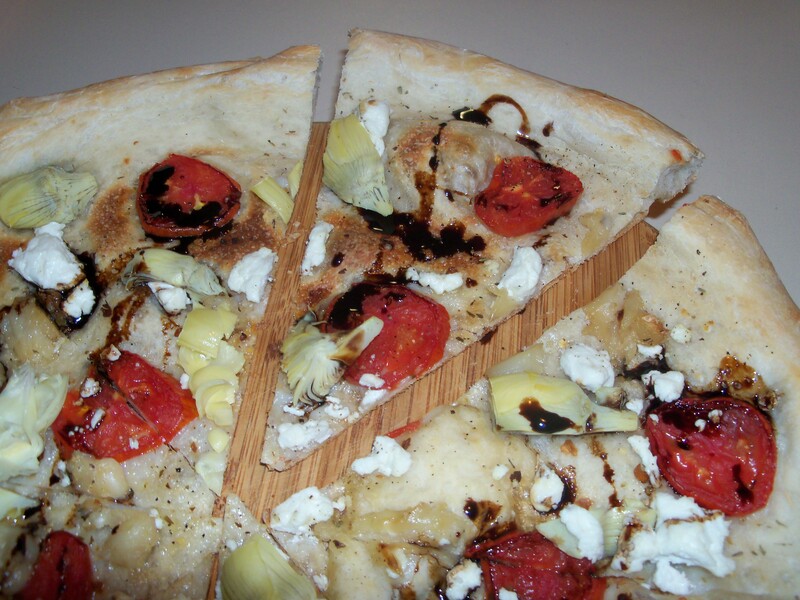 Reduce the balsamic vinegar in a pan over the stove until it starts to look thick. Cool. It will get a bit thicker as it cools. You want it thick like honey. When you are ready to serve, put the veggie mixings on the toasted bread, salt and pepper to taste. 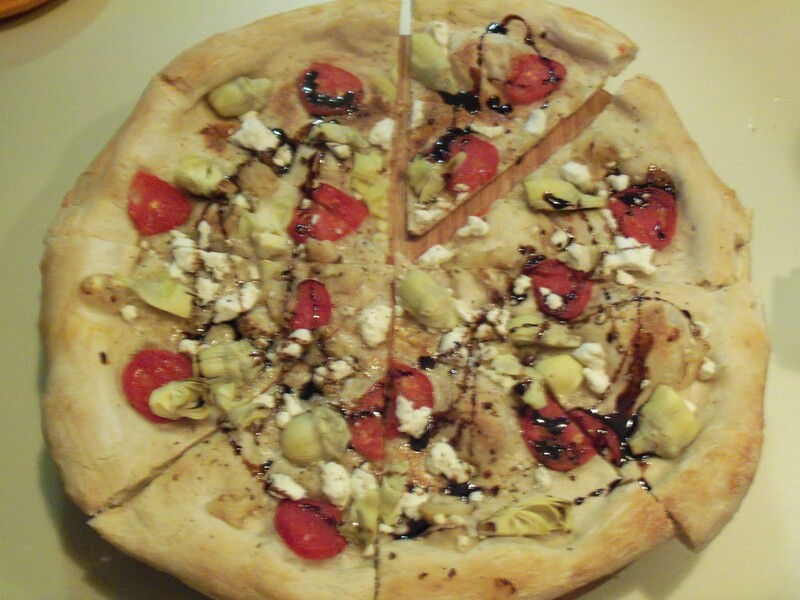 Drizzle with a little balsamic. Serve it up. And say it with me. 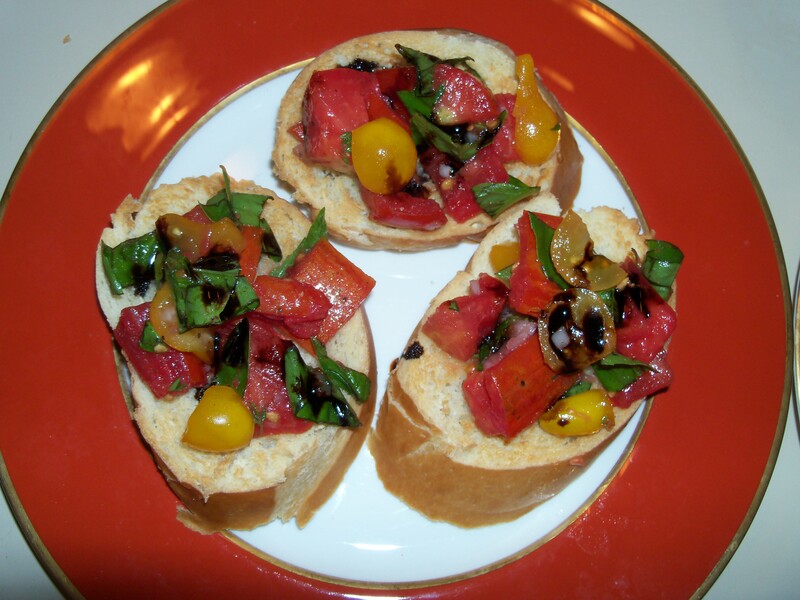 Bruschetta. (Don’t forget the hand gesture – kiss, pull, jazz). Molto bene. So, the garlic scape pesto was inedible. Here we are and it is garlic scape season. They’re patiently sitting in the fridge, waiting to be transformed from deliciously garlicky flavor-sticks (they smell fantastic, like a combination of pea pods and super mild garlic) into something edible. 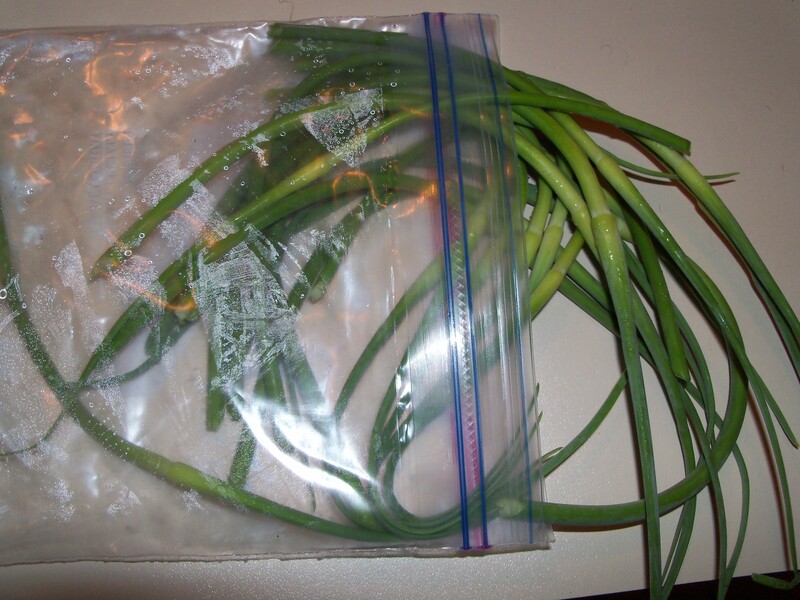 First, here’s the process of procuring a garlic scape. Step 1. Notice the garlic scape. Step 2. 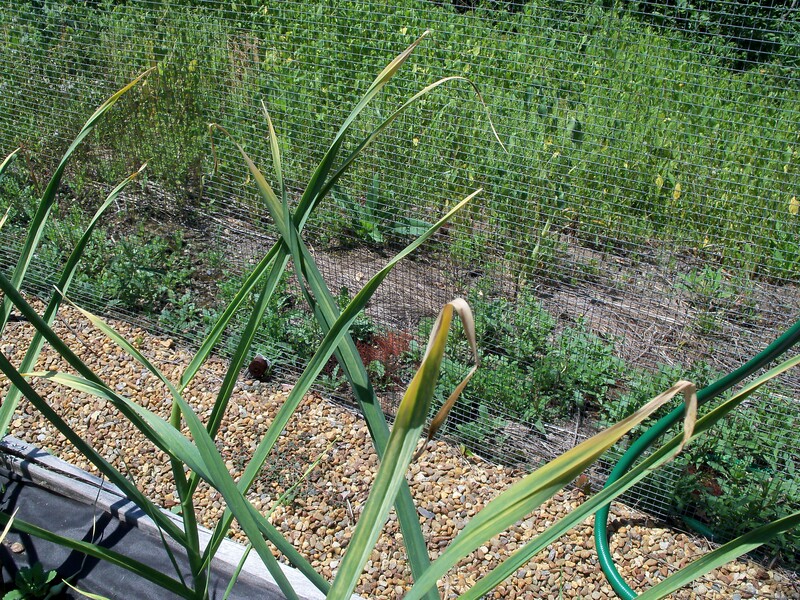 Cut and save the garlic scape. Step 3. 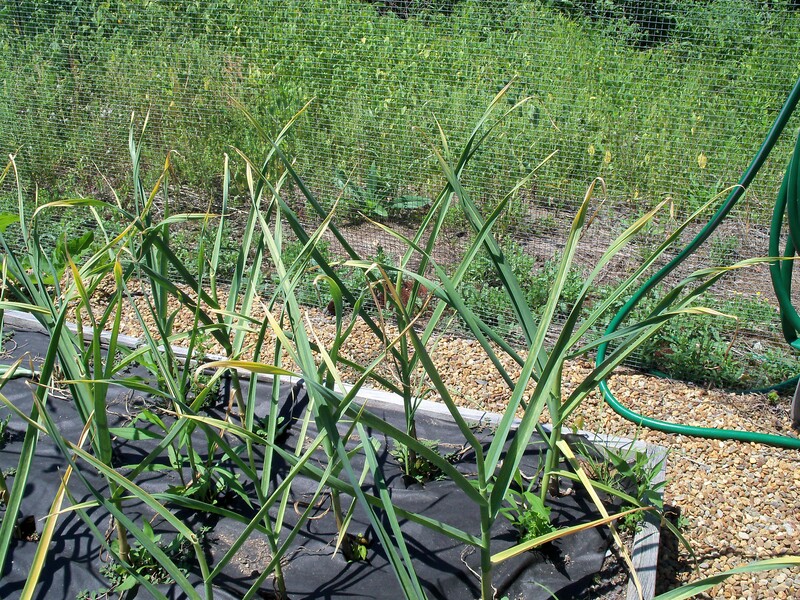 Use the garlic scape. This is where I’m lost. I need to do some hunting for recipes. If you have one. Please share. If I find any that work, I will post them.